Agile product development can be traced back to the lean manufacturing principles W. Edwards Deming implemented in Japan after World War 2. Deming focused on improving quality and reducing cost through continual improvement of the manufacturing system driven by feedback from internal stakeholders and customers. Since then, Agile practices have been adopted across different industries including manufacturing, construction, business intelligence, and software development to name a few. Product development projects that utilize Agile methodology are more likely to be successful. According to the CHAOS Manifesto report by the Standish Group Agile projects are successful three times more often than non-Agile projects. The study defines project success as being delivered on time, on budget, and with all planned features. Agile’s success rate is primarily driven by its focus on prioritising and addressing customer requirements and pain points. A good example of this comes from software development. 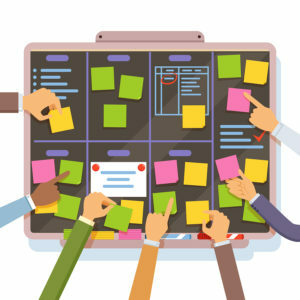 The very first principle in the Agile manifesto for software development states – ‘Our highest priority is to satisfy the customer through early and continuous delivery of valuable software.’  The same principle can be applied to agile product development across all industries. Brands can get more actionable feedback from customers post product launch. They can gather product feedback via short surveys that collect open-ended answers and Net Promoter Score. Social media, while primarily used as a customer service channel, is another possible means of collecting customer feedback. One of the more readily available channels to collect customer feedback is online reviews. Customer reviews offer a comprehensive idea about how users perceive the product, especially from those who have used it for a long period of time. 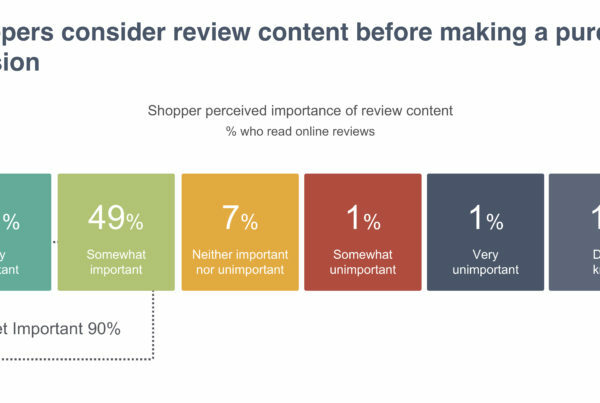 One of the biggest challenges with online reviews is to identify all the possible sources where people submit review. Review Monitoring can track customer submitted online reviews across multiple sources and aggregate them in one convenient location for further analysis. Online reviews are voluntarily submitted by customers who buy and use the products. Unlike surveys where users get rewarded for feedback, reviews are based on real customer experiences. The opinions expressed in an online review are more likely to be honest. This is most easily seen in the fact that online reviews can be positive or negative. Not every customer is going to be pleased with the product. Therein lies an opportunity for the brand to innovate and drive Agile product development. A unique advantage of using Review Monitoring is that it uses both positive and negative customer ratings to return a Net Promoter Score (NPS) – a key topline metric that is easy to track and useful to compare with NPS data a brand might have from other customer feedback touchpoints. Brands should not limit themselves to collecting and analysing reviews of their own products. Online reviews on competitor products are available just as easily. Understanding why people prefer competitor products can provide valuable insights into what features need to be prioritised in the next iteration of an Agile cycle. This can enable challenger brands to close the gap with competitors and leading brands to solidify their prominence. One of the main challenges with any competitor research is to track all competitors across a long period of time. This is where ReviewMonitoring.com can help you. The tool tracks competitor reviews from across different online channels and makes it available at your fingertips. For every competitor product, you can track review volumes against sales or market share figures to see where competitor brands are making gains or losing ground. You can also analyse competitor reviews to identify what features drive their strengths and weaknesses in the customer’s view. 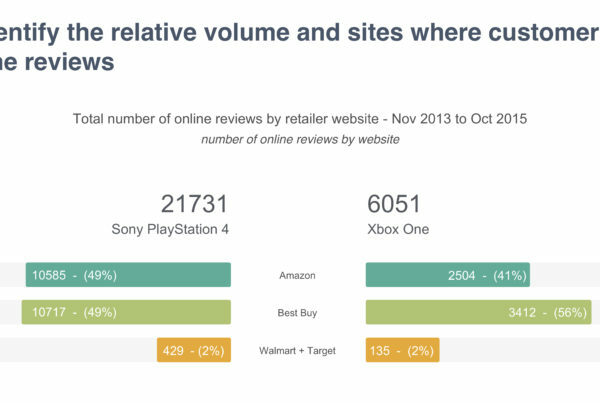 Online reviews can provide real time actionable insights. Agile product teams can monitor reviews to identify emerging positive and negative trends. This will help them respond to customer needs before an issue turns into a PR catastrophe. Review Monitoring conveniently provides the trending keywords for both positive and negative reviews. Once you start with the top keyword, you can drill down with the Word Tree feature to identify common phrases used with the keyword. This will lead you directly to identify any upcoming issue. Review Monitoring’s advanced Smart Analytics can better categorize reviews and extract actionable insights. Smart Analytics uses Machine Learning and Natural Language Processing to identify the most popular and least popular features of a product mentioned across all reviews. Smart Analytics also provides useful guidance on how the product can go from 4.5 star to a 5 star product. This is immensely helpful for an Agile product team. It gives them quantifiable insight into what features to include in future iterations. Next PostIs Amazon Testing New Icons to Drive Review Engagement?